Welcome to Technique Tuesday! Today we have a Marker and Clear Block Technique! Stampin' Up! has a great video about this technique that you can watch here! I wrote some tips at the bottom of this post! Please email me with questions! I used Soft Sky, Old Olive and Blackberry Bliss (thanks to my favorite Color Coach tool for this color combo). 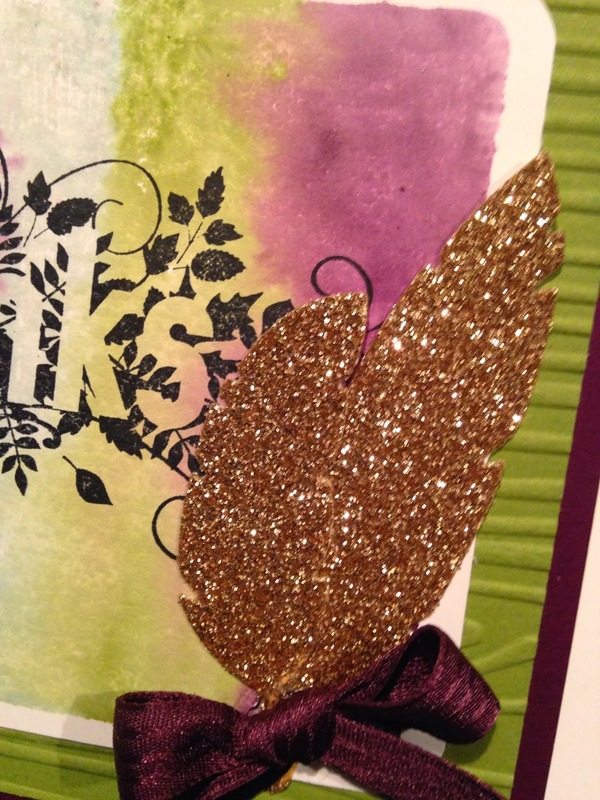 It's hard to tell that I used the feather dies - but that's what the glitter shapes are! I also used Seasonally Scattered! This is such a versatile stamp set and I am so glad it was one of the sets we received at Convention in Salt Lake City this summer! You can really see all of the color, texture and technique in this picture! 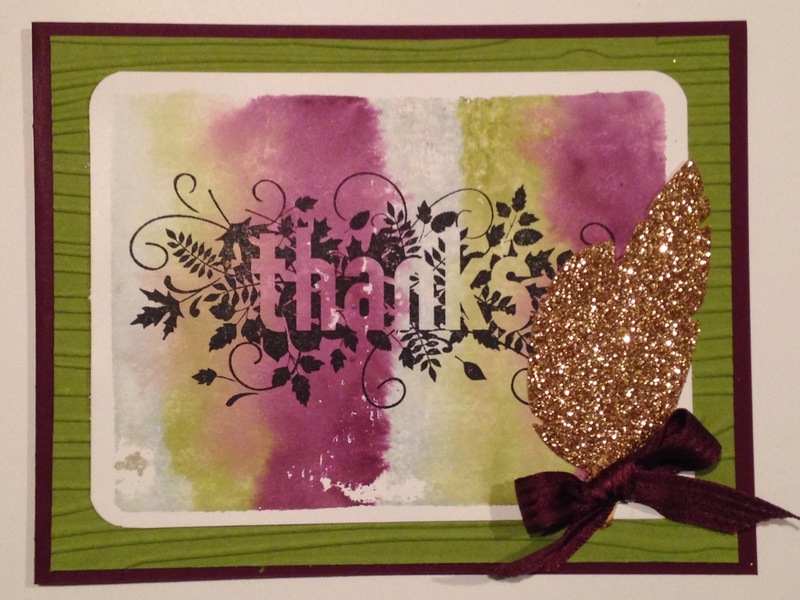 I love that Woodgrain Embossing Folder, it really ties everything together! 1. Color your Clear (clean) Block with Stampin' Write Markers. Remember to color Light to Dark (lightest colors first, then the darkest colors) so that you don't pick up a dark color with a light marker! 2. Spritz the block (away from your work area) with water or alcohol. One-two sprays gets a lighter blend, whereas four or five sprays gets a more blended/ tie-dye look (my example). 3. Quickly flip your inked/ sprayed clear block onto card stock. 4. If you use Whisper White card stock you will need to either dry with the Heat Tool or let it dry completely.